No rugby experience required. Qualified coaches will teach you the basics in a safe and controlled environment. Steph Crawley will once again be head coach fo the U13 programs. With a wealth of knowledge as a player and coach, currently the head coach for the University of Ottawa Men's program and the Director of the EORU Senior Men, we are happy to have Steph on board again! Azzy will be joining the U13s this season as an assistant coach. 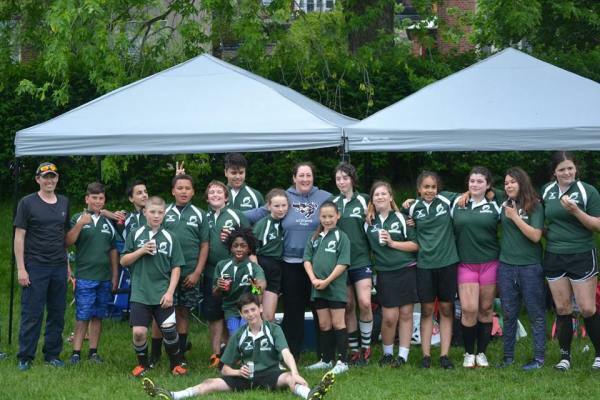 Azzy has played rugby at Darcy McGee, Heritage College and with the Gladiateurs Junior and Senior Women's programs. Our coaches are going to concentrate on three core elements with these groups; Core skills, fundamentals of the Rugby game and team play. ​Nigel George is very familiar with the game of Rugby having played back in his high school days and introducing it to his children who all play. He is a level 1 trained coach and has been coaching for the Gladiateurs club for the past couple of years.